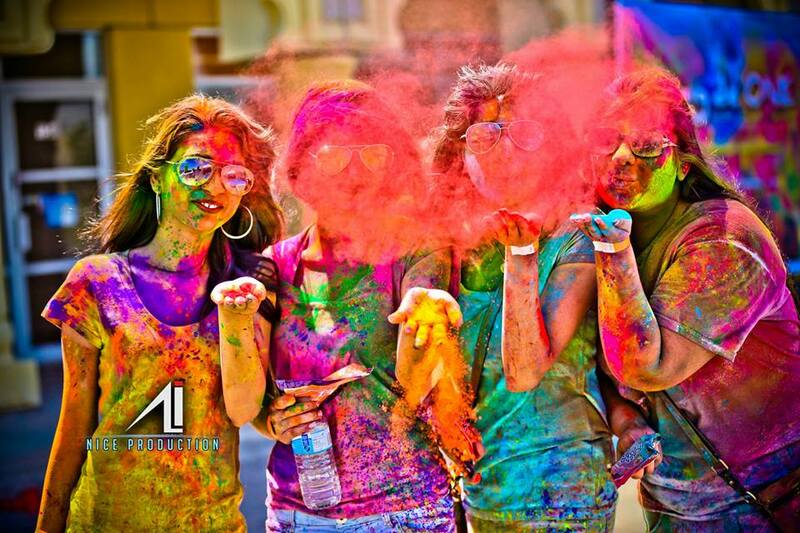 Rung De ONE, a colourful event inspired by the festival of Holi, was hosted by Media Works!! and PGA International. Photo by Aparajit Bhattacharjee. A few summers ago, when a former editor of mine scurried around the office juggling gifts and wrapping paper, I asked her if the presents were for someone’s birthday or anniversary. Turns out, it was for neither. The editor and her family were celebrating Christmas that weekend. Christmas in July? Not just quirky, but clever, I thought. So, when I was invited to Rung De ONE last week, I realized it was June and technically, Holi had come and long gone. 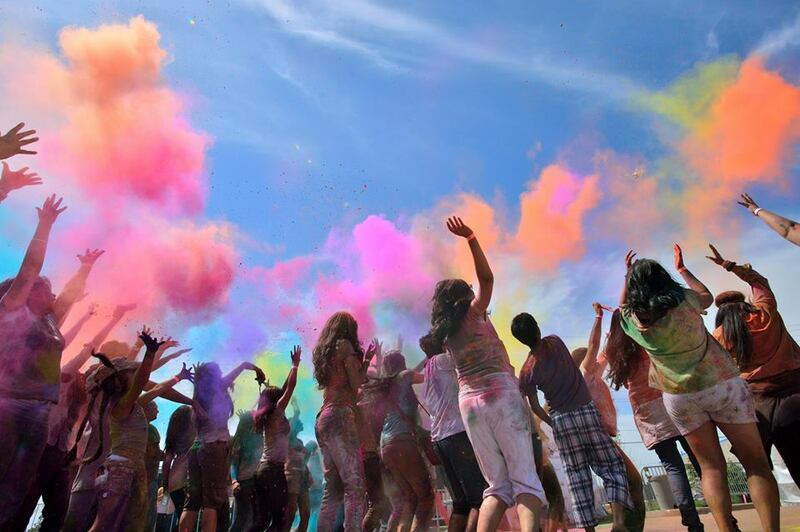 But, the idea of celebrating Holi outdoors drew us to this plaza in Mississauga, Ont. where plumes of colours floated in the air. Dozens of people gyrated to the beat of foot-stomping Bollywood numbers and some classic melodies as well. Everyone tossed, smeared and threw the powdered dye on each other. We had the time of our lives. The afternoon was reminiscent of the past and even though we did not know many people, we felt a camaraderie with everyone around us. 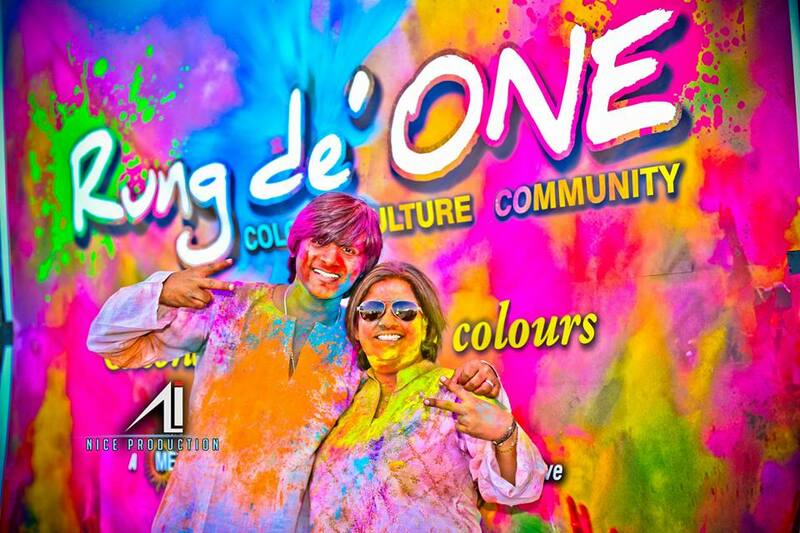 Rung De ONE, an event inspired by the Indian festival of Holi made its debut in Toronto. Organizers invited not just South Asians, but everyone to sample the culture of India. Photo by Irfan Ali. Sumit Ahuja, founder of Media Works!! and an event planner hosted Rung De ONE with her good friend Mitul Kadakia of PGA International. The duo and their tireless troupe of volunteers and team members managed to replicate the ambience, sounds, and colours of Holi by adding their own special twist. So much so, people are still talking about it. From the sound of it, Rung De ONE will likely become an annual ritual for Canadian desis and the larger community. Once the initial logistics were ironed out, organizers decided to fling the hypothetical doors of Rung De ONE to not just desis, but people of other cultures and invite them to play. So, much like Canada’s diversity, the vibrant colours that revellers flung and danced with at Rung De ONE sort of became a symbol of unity. What a brilliant idea. Rung De ONE had Sumit’s signature all over it. The music kept the crowd on its feet, the food was mouth-watering and the performance by Shiamak’s Toronto Dance team added a pizzazz to the celebrations. Sumit Ahuja, founder of Media Works!! (right) seen here playing Holi in June with her friend Mitul Kadakia of PGA International. Photo by Irfan Ali. So, who’s Sumit Ahuja? And why is she being featured here in this blog? This blog, as I repeatedly point out, is about faces in the crowd that are on their ascent to success. These movers and shakers of Toronto are people starting on their journeys armed with passion, talent and a special something that sets them apart from other mortals. As a key player shaping the cultural landscape of Toronto, Sumit, I believe is one of the people that can translate ideas and execute them flawlessly. This transplant from Delhi is an events and media relations specialist with a degree and diploma from New Delhi and Toronto. Her stint with Wizcraft, a well-known event management company in India, helped her hone her passion and understand the pulse of the entertainment industry. Her company Media Works!! was responsible for hosting the Indian International Film Awards (IIFA) events in Brampton which included managing the presence of Bollywood star Bipasha Basu as she made appearances in the city. Additionally, Sumit’s also involved with Mosaic and helps host the South Asian Heritage Festival in Mississauga. Much like any immigrant that arrives in Canada, Sumit too faced the stark reality of having to pay the bills. So, she temporarily put her dreams on hold and opted for a job with a leading bank while she juggled the responsibility of nurturing a fledgling company— Media Works! !— that she started some five years ago. 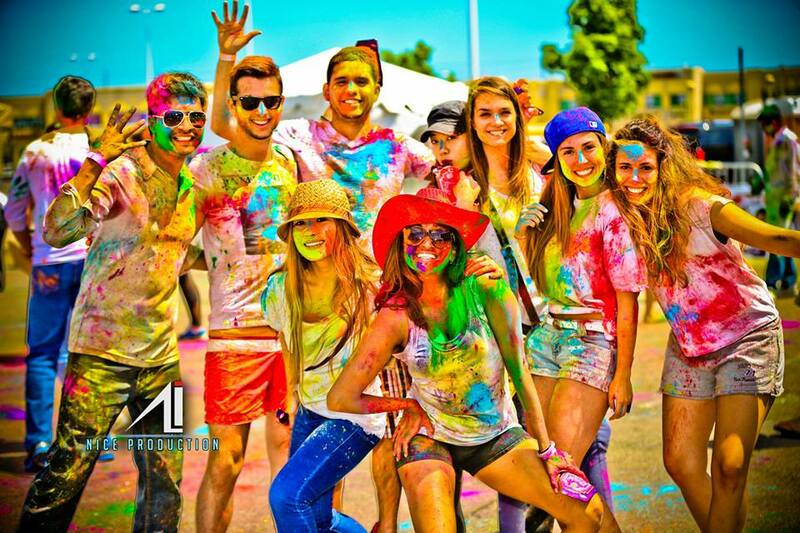 Dozens of people enjoyed the colourful festival of Holi recently in Toronto at the Rung De ONE event. Photo by Irfan Ali. Handling the challenges of running an event management company doesn’t faze her because the vision of Media Works!! is built on teamwork. As a mentor to her team, Sumit believes in guiding her group with wisdom. So, tip of the hat to the woman who pulled off a Holi celebration in June. May we suggest a Halloween-themed Diwali in July? What about a Thanksgiving-Navaratri in September? Hey, just sayin’.